Another iPad Coming Later This Year? Total MacBook Pro Revamp in 2012? iLounge reports on several items of interest in light of today's MacBook Pro and iPad news, most notably claiming that some questions have arisen about just what Apple will be able to show at next week's iPad media event and when a true "second-generation" iPad will become available. 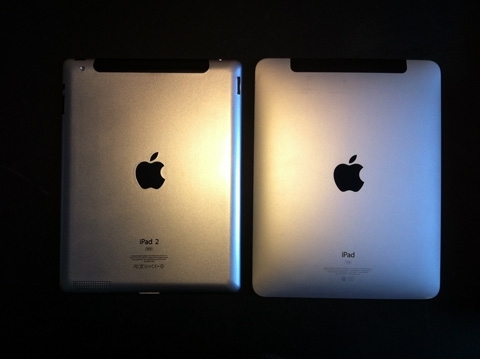 Two reliable sources are suggesting that next week's "iPad 2" event has some serious cliffhanger potential - as in, consumers may not see the real "iPad 2" for some time. There's apparently some truth to the reports of production problems with the new model, and as a result, no one is really sure at this point what Apple is going to be shipping as the "iPad 2," or when. The report lends credence to a theory put forth by Daring Fireball's John Gruber several weeks ago stating that Apple could release another new version of the iPad as soon as September. iLounge's report takes the angle that Apple could be preparing to release something that could be more accurately considered an "iPad 1.5" with a camera and other tweaks to carry consumers through to a more substantial upgrade later this year. In any case, our sources aren't sure whether Apple is going to release the iPad 1.5 now and call it the iPad 2, hold off a few months and release something dramatically better, or hold off a few months and release the iPad 1.5. The sources strongly believe that Apple cannot possibly ship enough truly "new" iPads to meet a late March or early April release date. One expects that Apple will only preview the next iPad at next week's event, then release it widely around June. A price drop for the current model would keep sales flowing until then. iLounge acknowledges that the claims are somewhat difficult to believe given the high visibility of next week's iPad event and the steady stream of rumors that have been steadily (until recently) pointing to a March/April timeline for a revamped tablet device, but Apple may in fact be feeling pressure to do something to keep iPad sales moving as it continues to prepare what it had originally envisioned as its second-generation iPad for a release later this year. Today's report also notes that the MacBook Pro update coming tomorrow is clearly more of a refresh of Apple's existing MacBook Pro lines, and that a significant redesign, which Apple generally undertakes every few generations, is on tap for 2012 and currently in the design phase. Finally, Apple is said to be set to introduce the fifth-generation iPhone in June as expected. The report says that "worldwide shipments" would occur by August at the latest, with the U.S. and other major markets for the company almost certainly at the head of the rollout plan.